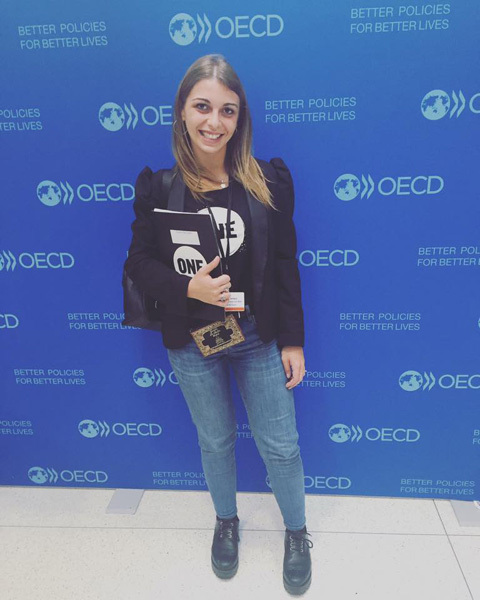 The young ambassadors of ONE in Paris against extreme poverty The initiatives of the activists of the international organization, which has over seven million members, are taking place to raise the awareness of the general public and that of governments. 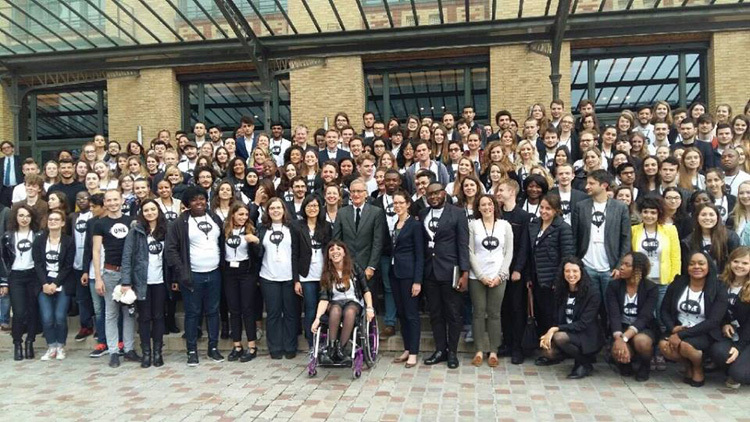 In Paris, on the eve of the 2016 European Football Championship, in an attempt to attract the world’s attention to the problem of poverty and equal opportunities for women and children in developing countries, there were 250 young activists from ONE, an apolitical organization, boasting seven million members, that works to raise public awareness and that of political leaders regarding the fight against extreme poverty and preventable diseases, above all in Africa. 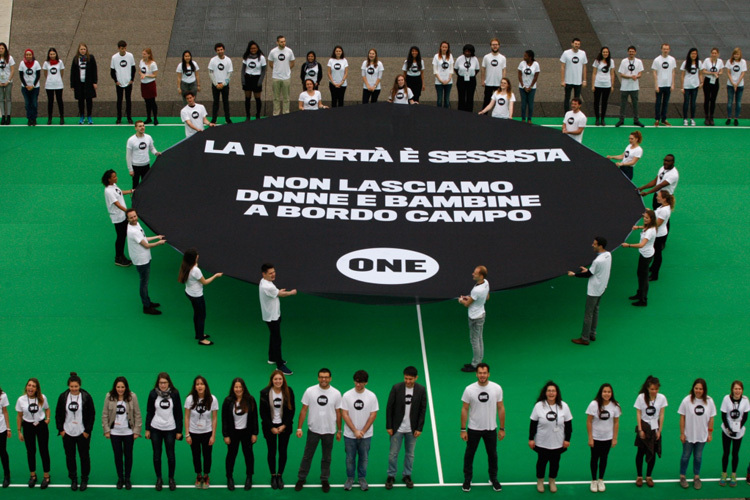 The ONE ambassadors, a group of extremely motivated young volunteers from seven European countries and Nigeria, and selected by means of a public exam, recreated an enormous football pitch in the center of Paris and set up large billboards in various languages, pointing out that poverty is sexist. Their message was launched while the OCSE forum was taking place, bringing together government representatives from numerous nations. A recent report published by ONE, Poverty is sexist, shows clearly that poverty and gender discrimination are connected. These days, 62 million children in the world don’t receive an education. In Africa three adolescents out of four who have contracted HIV are girls, and a woman in Sierra Leone has a risk of dying in childbirth which is 183 times higher than a woman in Switzerland. During the summit, the “Youth Ambassadors” of ONE met many International politicians such as: the French Minister of Foreign Affairs, the Dutch and Slovene Ministers for Development Co-operation and political representatives from Italy, Germany, Ireland, Sweden, Switzerland and Australia. Afterwards, the “Youth Ambassadors” had the chance to meet the Secretary-general of OCSE, Angel Gurría, the Director of the Committee for Development Co-operation, Erik Solheim, and Pascal Saint-Amans, Director of the Tax Center of OCSE. 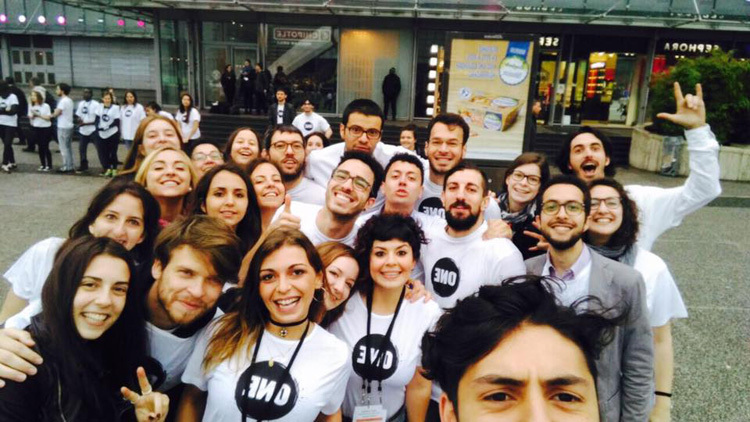 Rather than promises, the “Youth Ambassadors” of ONE are asking the world leaders for actions. One of the first occasions to demonstrate that it is possible to eliminate extreme poverty and gender discrimination is the re-financing of the Global Fund for the fight against AIDS, tubercolosis and malaria, to be held in Canada in September. A great opportunity that the young ambassadors of ONE will clamor for with all their energy.